Directed by Sam Mendes, who also helmed Skyfall, Daniel Craig is back as the iconic secret agent. This time around, a cryptic message reveals pieces of Bond’s shadowy past and a sinister organization called SPECTRE, led by not-Blofeld (Christoph Waltz). With a cast that also includes Ralph Fiennes, Ben Whishaw, Naomie Harris, Rory Kinnear, Léa Seydoux, Monica Bellucci, David Bautista and Andrew Scott, Spectre looks like a damn fine time. I can’t wait to see that massive Day of the Dead scene filmed in Mexico City. 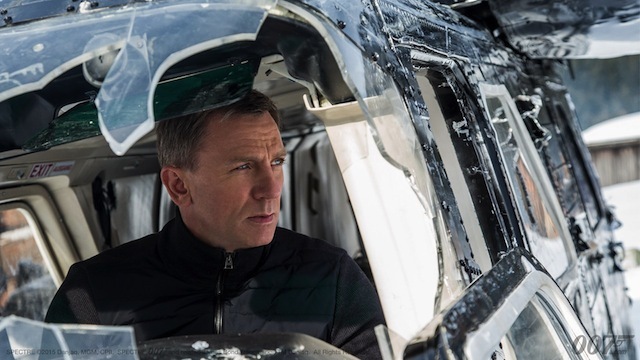 Spectre hits theaters on November 6. And it appears Daniel Craig is going to stick around in the role for a while longer, which is what we like to hear.